The meat mountain at Arby's is expanding faster than a rabbit colony. The nationwide release of venison sandwiches hasn't even arrived, and Arby's has announced their next foray, which is in addition to other adventures this year with elk, porchetta, turkey legs, pork belly, and lamb. 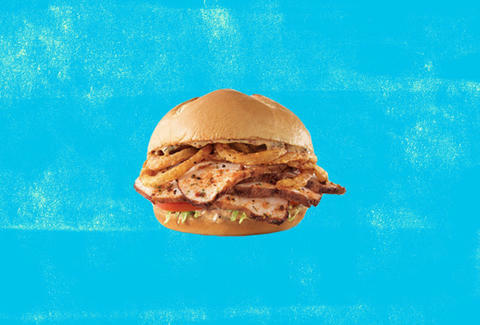 Arby's will offer deep-fried turkey, a first for any quick service restaurant in the US. The notoriously dangerous and delicious method of cooking bird will be made a little safer by taking your dad out of the equation until the part where you eat the turkey. The boneless, skin-on turkey is injected with a brine containing brown sugar before it is oven-roasted then given some time in the deep fryer. 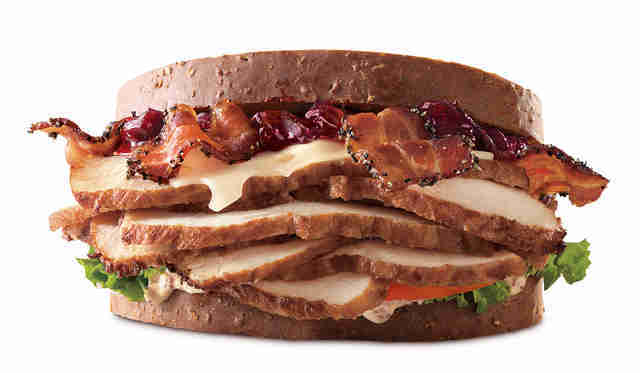 The chain will release three sandwiches focused on deep-fried turkey, including the Deep Fried Turkey Club (turkey, pepper bacon, cheddar cheese, lettuce, tomato, and mayo), Cajun Deep Fried Turkey (turkey, crispy onions, lettuce, tomato, and a creamy cajun spread), and The Gobbler (turkey, pepper bacon, Swiss cheese, cranberry spread, brown mustard, lettuce, and tomato). A few locations rolled out the sandwiches this week. However, it will appear nationwide on Monday, October 23. It is a limited release but will be available throughout the month of November, because that's Turkey Month and there are never enough leftovers after Thanksgiving. Never. It doesn't sound like health food, but the whole run from Sugarday Halloween through Thanksgiving and into the holidays is usually a mess of unhealthy eating. So... at least it comes with lettuce?